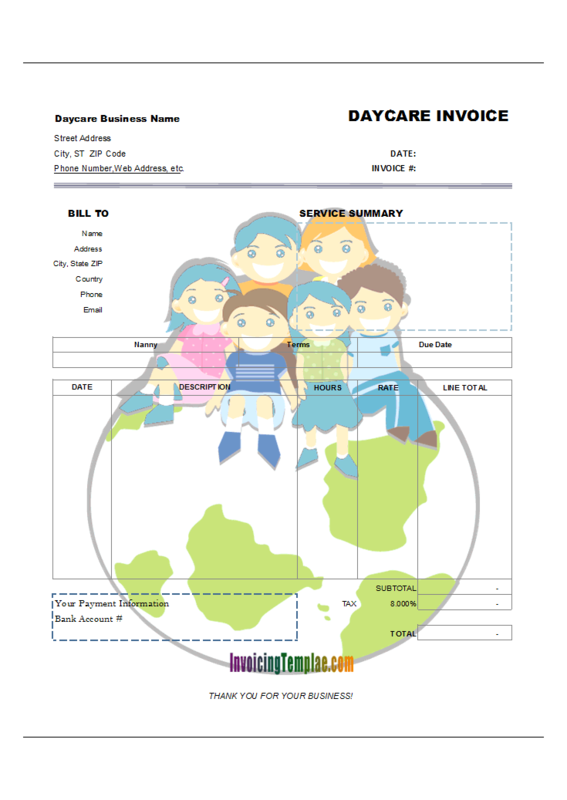 Whether you are a part-time or full-time babysitter, a small home-based daycare business, a large daycare and babysitting center, a receipt or an invoice is a formal way to confirm / ensure your services are get paid on time. 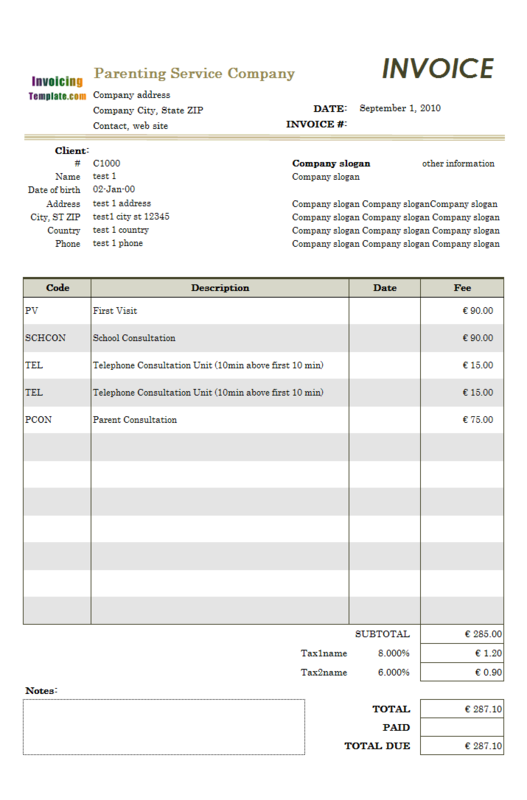 c5088 now includes the customized invoice template for the latest version of Invoice Manager for Excel. This is what you will see when you open babysitting-invoice-happy-kids-on-earth.xlsx. There's no doubt that babysitting requires skills in creativity, adventure, and play. Keep your business running successfully also requires skill. 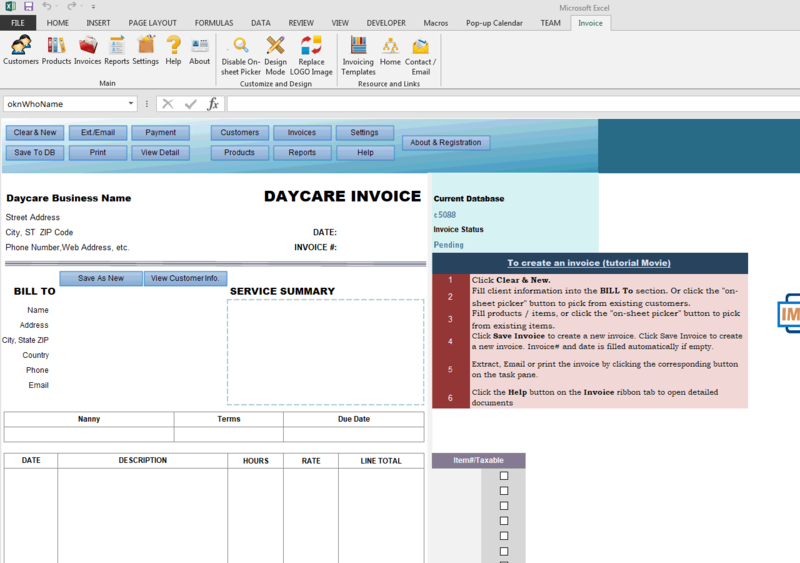 While it's the time to ask payments from parents, a well-designed invoice or receipt gives the parents an impression that you are even care about the details ignored by many other businesses, so you should be able to take good care of their babies and kids. 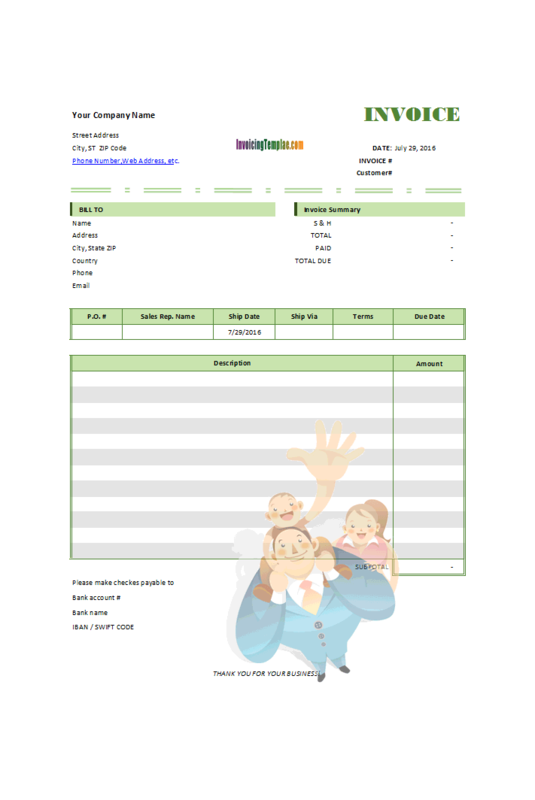 This Babysitting Invoice (Happy Kids on Earth Style) template is a revised version of our Daycare Invoice Template (c5080) which you can download for free. 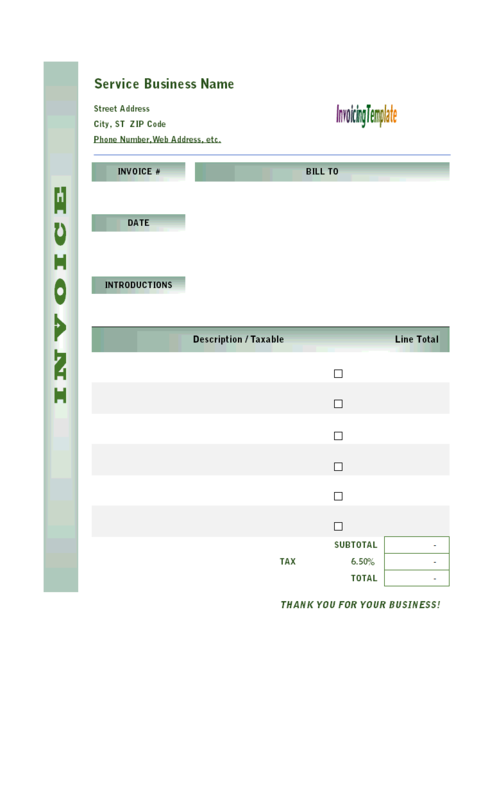 Here at InvoicingTemplate.com we are committed to provide you with free Excel invoice templates that you can use directly or use as a basic template for further customizations. The purpose of removing background colors and fill patterns is to show the background image that shows a group of happy kids sitting on the top of the earth. 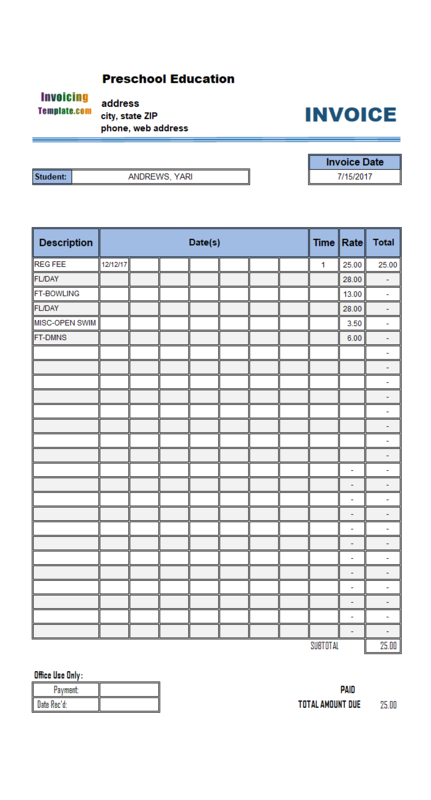 As you can see from the screenshots, by adding this colorful, vivid background picture, the original daycare invoice design suddenly gets a very different look and feel. 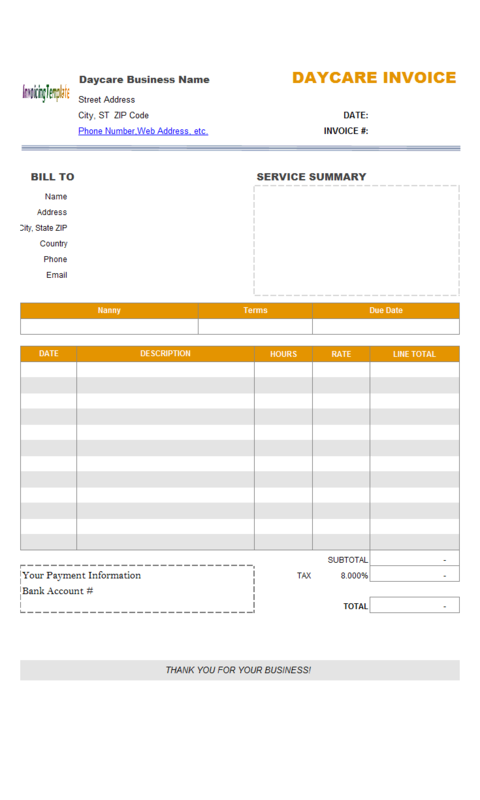 You can say that this isn't an ink-friendly invoice design, but it surely an easy way to make your invoices stand out from the generic invoice and receipt designs. Choosing a trustworthy babysitter or nanny is serious business and no parents will take lightly! Managing kids can be a challenge. One moment they're snuggling up for stories and introducing you to their imaginary friends. The next, they're biting their siblings and painting the new puppy purple. 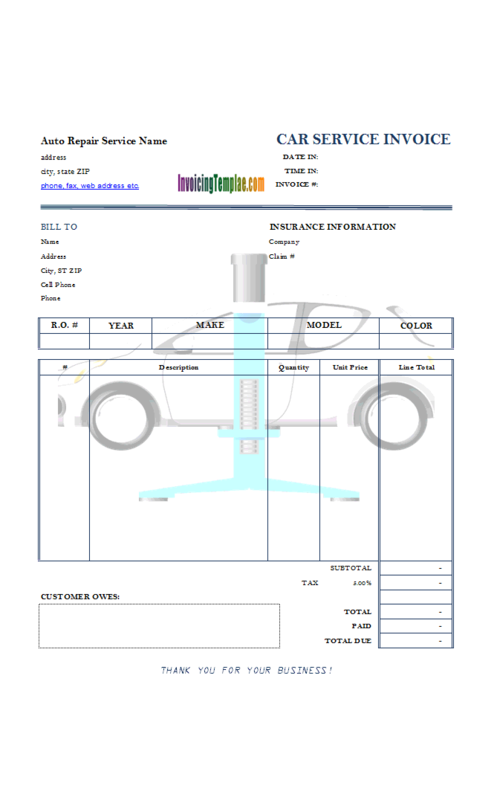 So save time on creating invoices by using our templates. 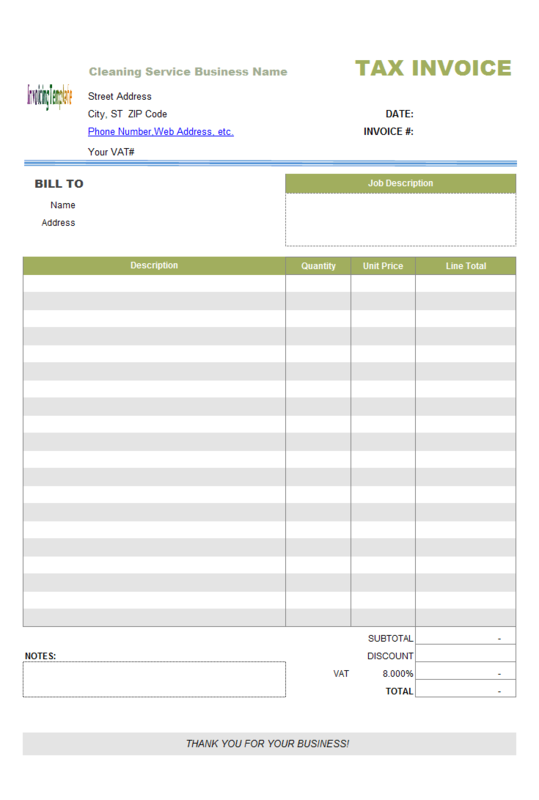 This Babysitting Receipt Format (Happy Kids on Earth Style), like all the other templates available here on InvoicingTemplate.com, fully support Invoice Manager for Excel (namely Uniform Invoice Software). 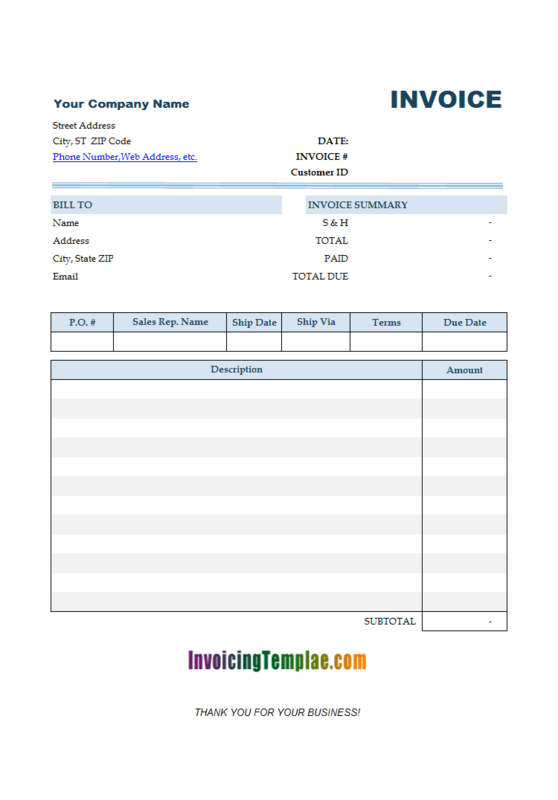 Which means you can easily make this simple pure-Excel invoice template a powerful invoicing software system, utilizing the features such as automatic invoice numbering, management of clients, invoicing items, payments, and taxes and reporting. 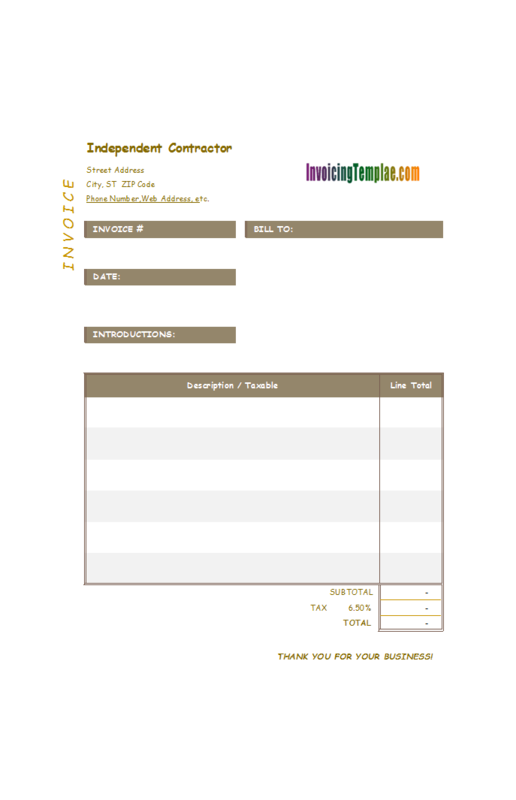 If you download any template from InvoicingTemplate.com, you'll find the "Invoice" worksheet is protected. This is not a mechanism to prevent end-users from modifying the template, but a way to prevent end-users from break the template accidently. 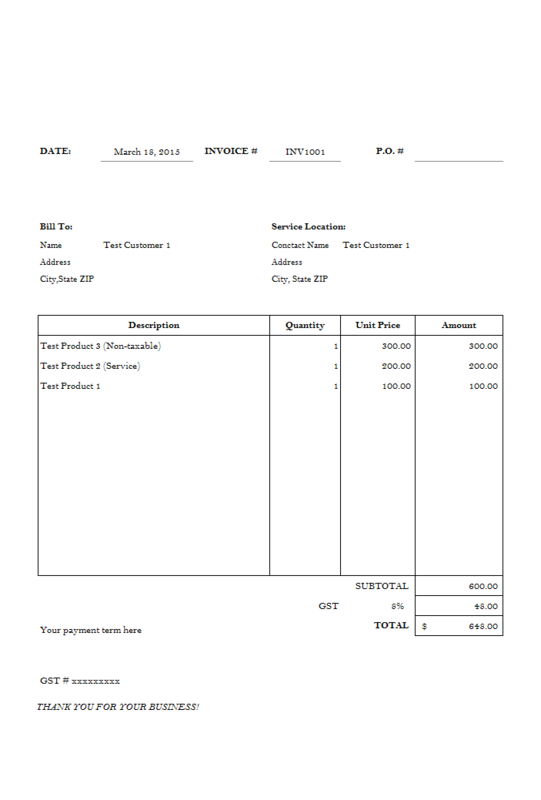 All our invoice and receipt templates are designed in a way so that when the worksheet is protected, only those fields that are different from invoice to invoice are editable, and those fixed content is not selectable and changeable, like your company name and address, formulas for calculating totals and taxes. 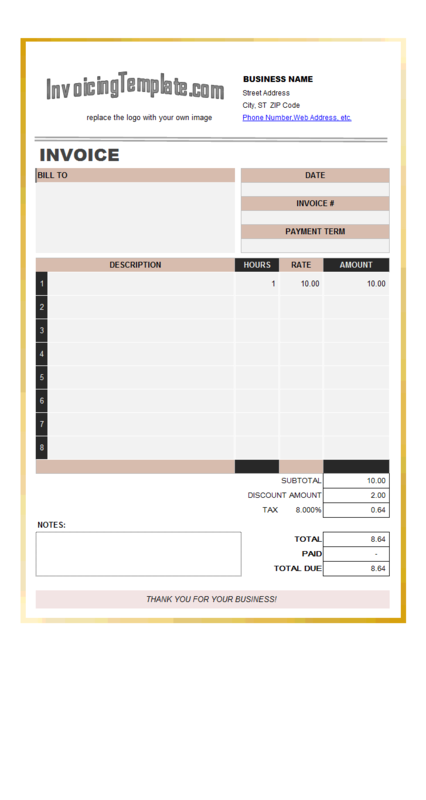 Like other form designs here on InvoicingTemplate.com, Babysitting Receipt Format (Happy Kids on Earth Style) is free (offered to you at a price of 0.00USD). It works on Windows XP and all newer versions of Windows, and Excel 2007, 2010, 2013 or 2016.